Martijn Comes & Giulio Aldinucci present their first collaborative split album for Moving Furniture Records. What defines a collaboration? For their first collective release, Martijn Comes and Giulio Aldinucci neither worked in the same studio together, nor did they share and exchange materials. The two pieces on this LP were composed privately and without any sonic input of the other. And yet, it is far more than just a ‘split’. The same idea – drawn from the world of philosophy – inspired both, lending a strong feeling of unity to the music, as different as their approaches may have been. Maybe it’s a mistake to even talk about the inspirations behind the release. 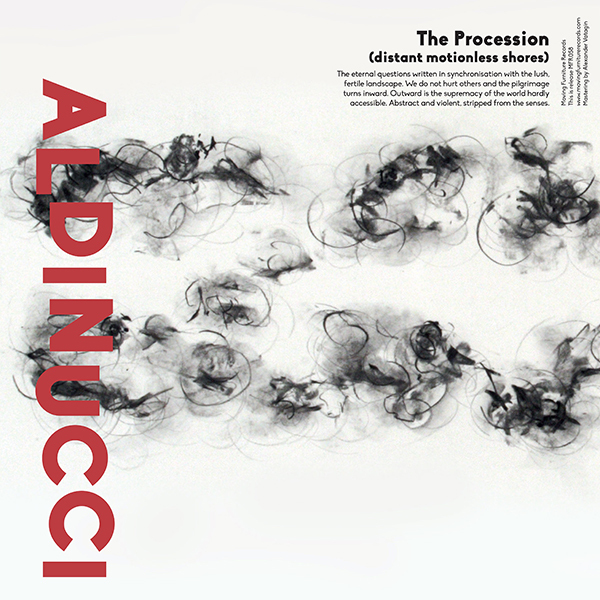 After all, the works of Comes and Aldinucci are about the primal power of music, not intellectual abstractions. “The concept was only very loosely based on two observations by Friedrich Nietzsche,” Comes admits, ” For our album, we stripped them down to a simple pair of opposites: The moral codex of society, as represented by the Christian church. And the realisation that only by surrendering completely to emotion can we live life to the fullest.” Freely moving between these contrasts, both pieces perpetually hover between calm and ecstasy, between dream and intoxication. For his contribution, Aldinucci investigated how sacred rites are capable of defining new soundscapes. 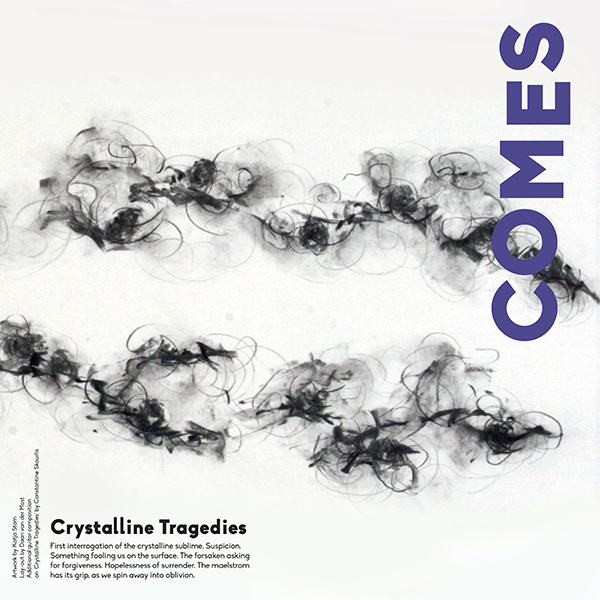 Based on a single field recording of a procession in rural Tuscany and atmospheric clips collected ahead of the event, the music creates a sense of audio documentary: “These rites are equally part of my childhood memories and the rural soundscape,”, Aldinucci says, “I’ve always been attracted to this idea of how these sacred rites are characterised by supposedly irrational and impossible aspects and how they are used by communities to create meaning.” Whereas the field recordings provide for an observational angle, gently layered drones expand the music from a personal perspective, as if recreating the event inside one’s mind in hindsight. None of this sounds particularly strict or academic, but then that was never the intention. Nietzsche was the first to admit that the perceived polarities of the moral and creative world were never truly opposites. Although they exist in their very own realm, they are deeply connected on many levels. Just like this release, in fact, which ended up feeling more like a collaboration than many traditional duo endeavours.